Divorce is the term used in the United States to describe the dissolution or termination of a marriage. Marriage is legally a contract and with it comes certain rights, obligations, and legal duties. Divorce dissolves the marriage contract, thus eliminating the legal obligations and responsibilities that came with the marriage. Most marriages don’t end with a big bang and a display of fireworks. Marriages usually fizzle out slowly over time. Gradually, you stop talking to each other about hopes and dreams, and most of your conversations are about the children or schedules. You don’t find yourself looking forward to time away together anymore. Shared interest become a thing of the past and you no longer really know what interest your spouse. You may find yourself daydreaming about better times. You no longer feel supported, beautiful, smart, or funny when you are together. One of you may be having an affair or spending money on things that you wouldn’t have in the past. You find yourself fantasizing about being apart from your spouse or being with someone else. If you aren’t in physical danger, you can still try to save your marriage. There are a number of reasons for divorce. The most common reasons people give for getting a divorce is that they are no longer happy together anymore, one spouse is having an affair, or the couple has different spending habits that are causing conflict. Getting married too young or too fast can also lead to divorce. It is not uncommon for a couple to decide to divorce after their children go off to college. Many times people have grown apart and not realized it because the children have been the main family focus. 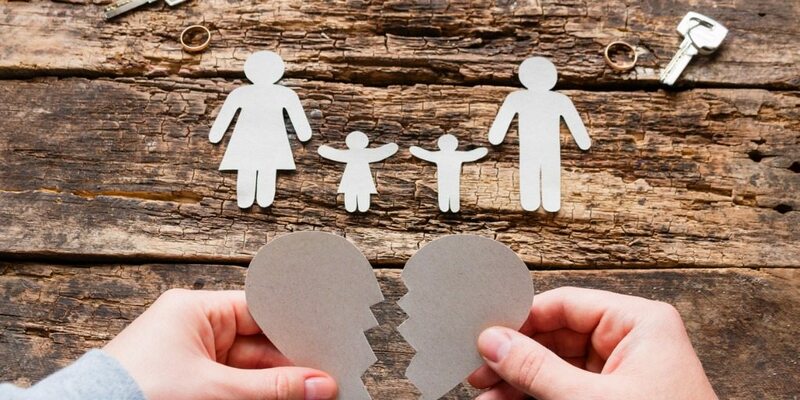 There are a number of ways that you can get resolve your family law issues but only one way to get divorced. In order to get divorced, one spouse files an action with the court. The initial document that is filed is called a complaint or petition depending on the state where you live. The person filing the complaint is called the plaintiff. The person filing a petition is called the petitioner. The complaint or petition is filed in the state where at least one spouse lives. It is served on the spouse who didn’t file it. The person who is served is called the defendant if a complaint is filed or the respondent if a petition is filed. Once service is completed a waiting time is allowed to provide time for the spouse to file an answer. If an answer is not filed within the time period allowed, the court can move forward with granting the divorce. Each state has their own requirements for divorce. There are usually only three issues in a claim for divorce: Child Custody & Support, Spousal Support, and Division of Property. All states consider the best interest of the child when determining child custody. There is no standard definition of “best interest“. States differ on the various factors they consider when deciding custody. Approximately half of the states have a specific list of factors in their statutes that the courts look to in determining best interests. The other half gives wide latitude to the court to determine what is best for the child. Despite all of the differences in state laws, most judges try to determine who will be the best person to provide the child with a healthy, happy upbringing. Federal law requires that states develop statues or guidelines for determining child support. States vary in the methods they use to determine the amount of child support and the duration of support. The majority of states use an income shares model to calculate child support. Most states that aren’t using the income shares model are using either the percentage of income formula or the Melson model. Spousal support is support paid by one spouse to the other spouse after the parties separate and/or divorce. Spousal support may be called Alimony or Maintenance depending on the state where you live. Prior to the divorce, spousal support may be called post-separation support, temporary alimony, or Alimony pendente lite . Unlike Child Support, states are not required to set specific guidelines for calculating alimony. Some states use specific formulas for calculating the amount of support and other states do not. The division of marital property and debt is dependent upon the state where you live during your marriage. In 39 states, the division of property and debt is divided equitably between the spouses. Equitably means that it is fairly divided, which does not always mean 50/50. The courts in these states use the term Equitable Distribution. The remaining 11 states, use the Community Property standard. In Community Property states, assets and debts are determined to be either marital or separate and marital assets are divided equally between the parties. Who gets to keep the dog? Does this impact my Green Card?